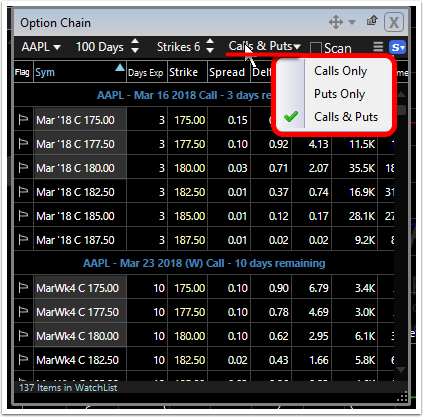 You can not only view an option chain for any optionable stock symbol, but you can customize the Option Chain window to contain the data you most want to see. 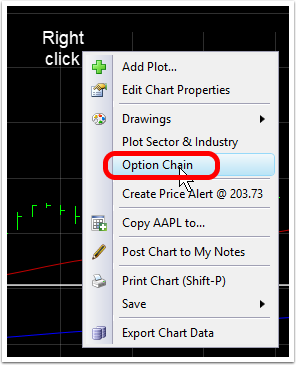 Steps to customizing the option chain are below. 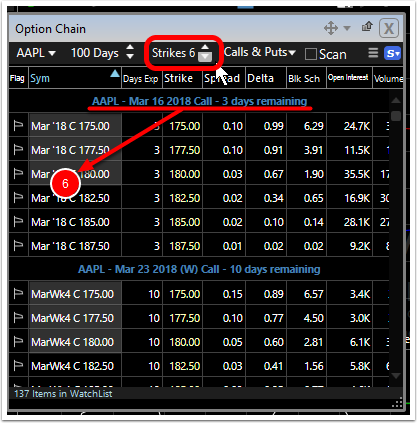 Use the up spinner for more strike prices; the down spinner for less. 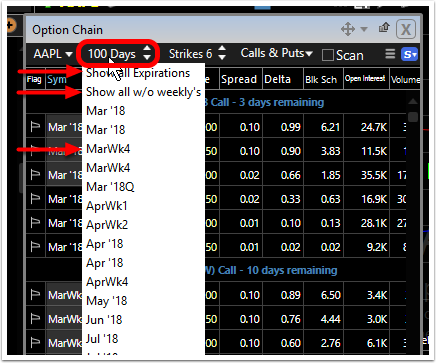 When sorted by Symbol (which sorts by expiration date) the number of strikes selected will be grouped under that expiration date. 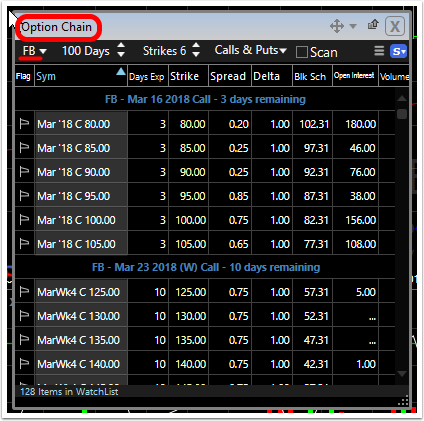 You can choose to view only calls, only puts or combine calls/puts in any option chain window.